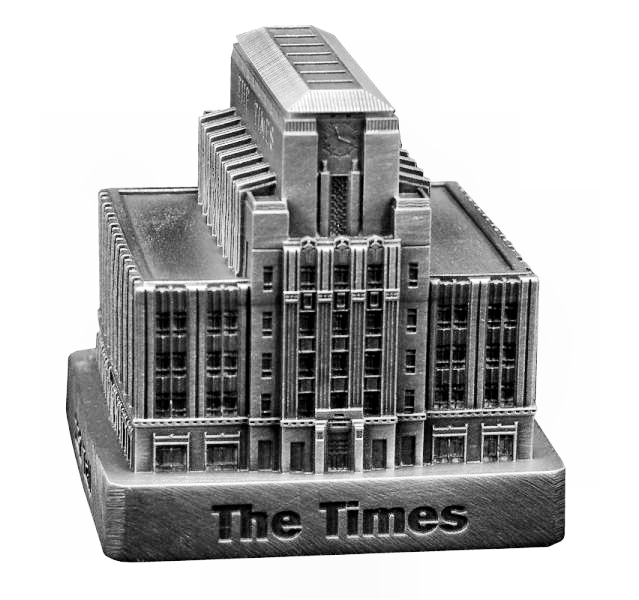 The Times is located at 202 West 1st Street in Los Angeles, California and was completed in 1935. This building was designed by Gordon B. Kaufmann and William L. Pereira & Associates and stands 132 feet tall with 8 floors. This pewter replica stands 2-1/8 inches tall and is finished in antique pewter. This model's scale is 1 inch = 75 feet.